It's Craig's 16th birthday and he wakes up his family at 6am so they'll be ready to take him for his driver's license test. Lucy takes him to the DMV to take the drivers test and interferes every step of the way. To the embarrassment of Craig, Lucy is a backseat driver when he takes his road test. Craig finally passes his driver's exam but it is Lucy who finds out she has an expired license and must now take the exam! Special Notes: This is the last show of the season, and the last installment for long-time employee, Tommy Thompson, producer. 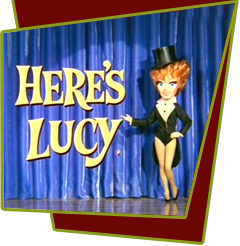 Lucy brings in her cousin Cleo Smith to produce the rest of the Here's Lucy series.